The following are the latest results contributed by HM Courts Service, for cases sentenced by West Sussex Magistrates’ Court sitting at Worthing from December 18 to 28, 2017, and East Hampshire Magistrates' Court sitting at Portsmouth from December 14 to 21. Jade Phillips, 21, of Castle Lane, Bramber, was fined £100 and must pay £30 victim surcharge, £85 costs, after admitting driving without due care and attention on the A25 Ladymead, Guildford, on September 8, 2017. Her driving record was endorsed with three points. Mitch Looker, 57, of Green Lane, Merston, was fined £480 and must pay £48 victim surcharge, £775 costs, after being found guilty of assault by beating in Chichester on May 29, 2017. Claire Atkinson, 43, of Glamis Street, Bognor Regis, was fined £192 and must pay £30 victim surcharge, £85 costs, after admitting driving over the 30mph speed limit on the A29 Pulborough on April 30, 2017. Her driving record was endorsed with three points. Fardin Farji, 24, of Northcourt Road, Worthing, was jailed for 12 weeks after admitting stealing four bottles of alcohol worth £86 from Marks & Spencer, Chichester, on November 10, 2017. He must pay £115 victim surcharge. Alexander Hole, 18, of Brook Gardens, Emsworth, was fined £365 and must pay £36 victim surcharge, £85 costs, after admitting drink-driving (42mg of alcohol in 100ml of breath) in Portsdown Hill, Havant, on November 28, 2017. He was disqualified from driving for 12 months. James Crocker, 31, of Main Road, Emsworth, was given a community order and must carry out 120 hours' unpaid work after being found guilty of three charges of assault by beating in Havant on January 10, 2017; and sending text messages conveying a threat to cause distress in Havant on January 10, 2017. He must pay £85 victim surcharge, £775 costs, £150 compensation. Catherine Gallagher, 45, of Park Road, Chichester, was given a community order with Rehabilitation Activity Requirement and must carry out 160 hours’ unpaid work after admitting assault by beating in Broadwater on September 3, 2017. She must pay £85 victim surcharge, £100 costs. 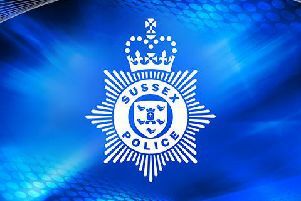 Callum Wallace, 20, of Pearson Road, Arundel, was given a community order with Rehabilitation Activity Requirement after admitting assault by beating in Arundel on May 22, 2017; and three charges of with intent to cause harassment, alarm or distress, using threatening, abusive or insulting words or behaviour or disorderly behaviour that caused distress in Arundel on May 30, 2017, and the court found it to be racially aggravated. He was also given a restraining order and must pay £85 victim surcharge, £100 costs.